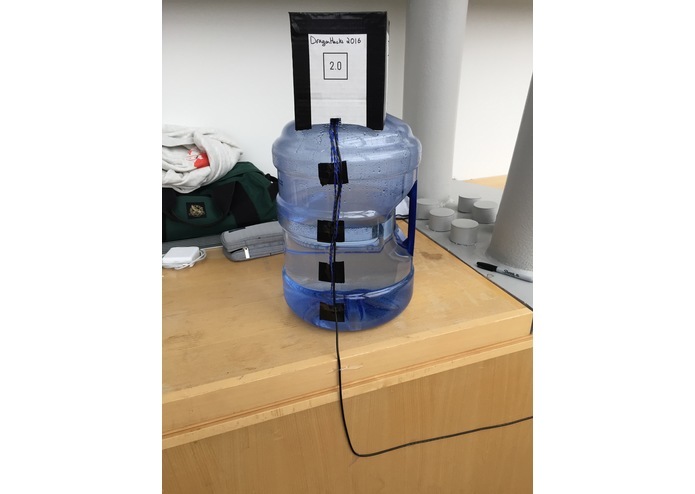 The Propane Tank Leveler 3000 was created at DragonHacks 2016 at Drexel University. 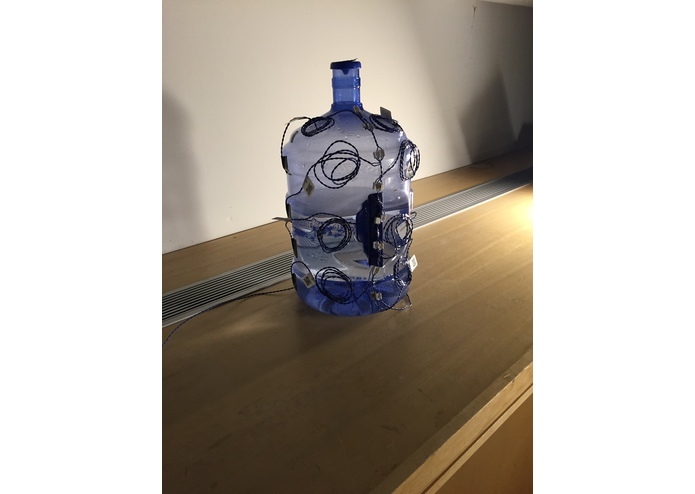 It is device that can be used to measure the amount of liquid in a container, made specifically to be used for propane tanks. 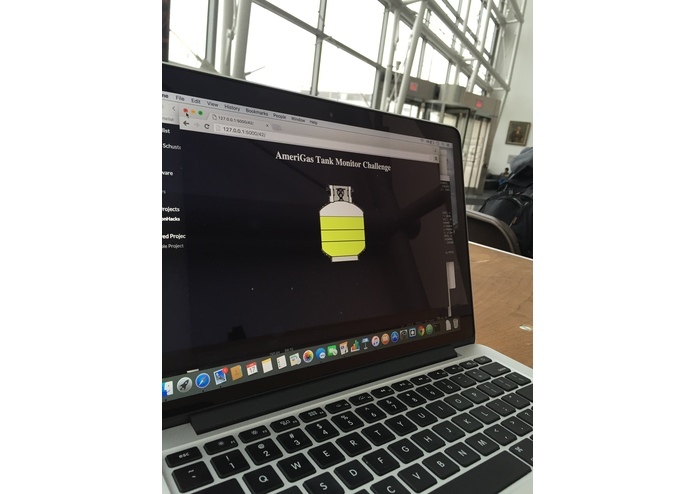 We decided to do this after we saw the challenge presented by AmeriGas for this hackathon, and thought that we could figure it out a way to solve their problem. We solved this problem utilizing hardware and software by KiernanTimberlake, whose sensors allowed us to determine the levels. 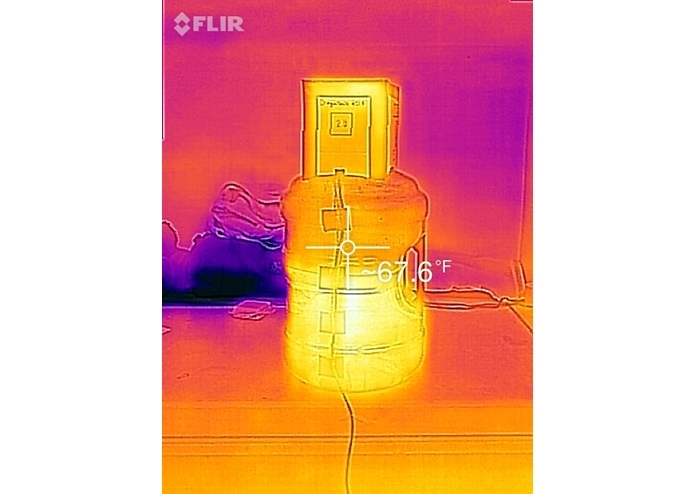 Four (or any variable number, depending on the size of tank and accuracy desired) temperature sensors are placed on the outside of the container. These sensors will read a different value depending on whether or not there is liquid at the location that the sensor is at. We use this fact to determine a rough estimate of where the liquid level is. 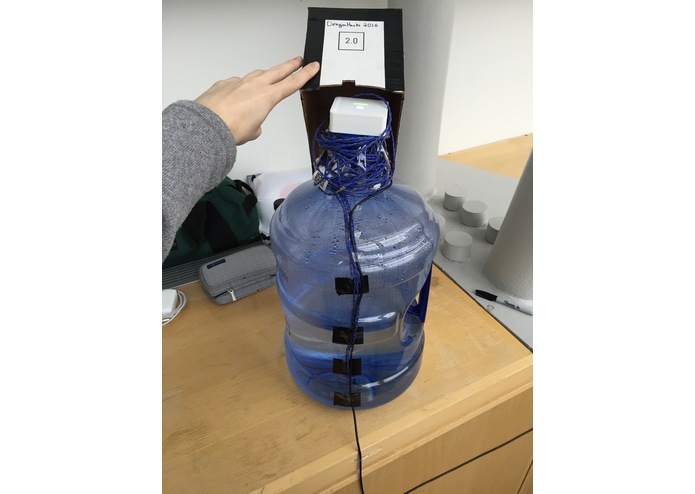 Our prototype is made out of a five gallon water jug rigged with all of the wires and sensors. The node and sensors are part of Pointelist, which is developed by KiernanTimberlake. 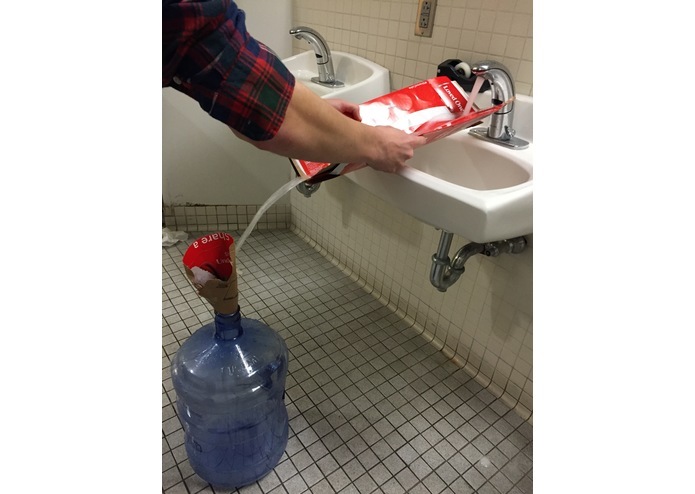 The water jug was stolen from under a table at DragonHacks. 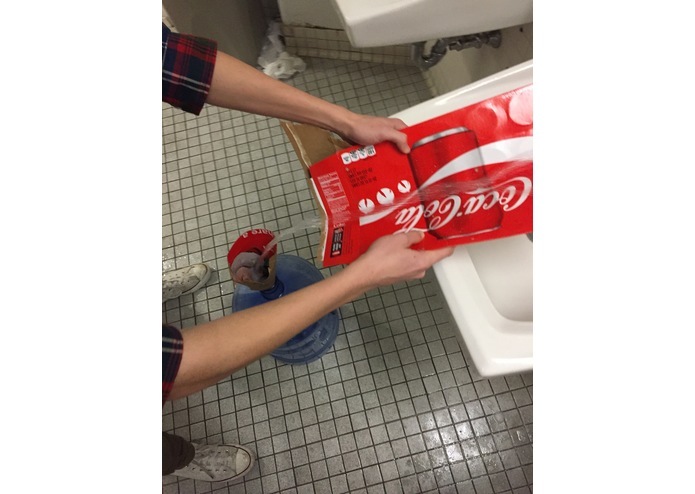 This project was developed by Derek Schuster and Ethan Schoen, students at Binghamton University. A huge thank you to the guys at KiernanTimberlake for your equipment and for all the help you gave us. And of course, a thank you to Drexel University for hosting this great event.